Started your holiday baking yet? Now’s the time to get started! For a limited time, purchase three (3) participating SPLENDA® Brand products at Walmart or on Walmart.com and receive a $5 Walmart E-Gift Card. 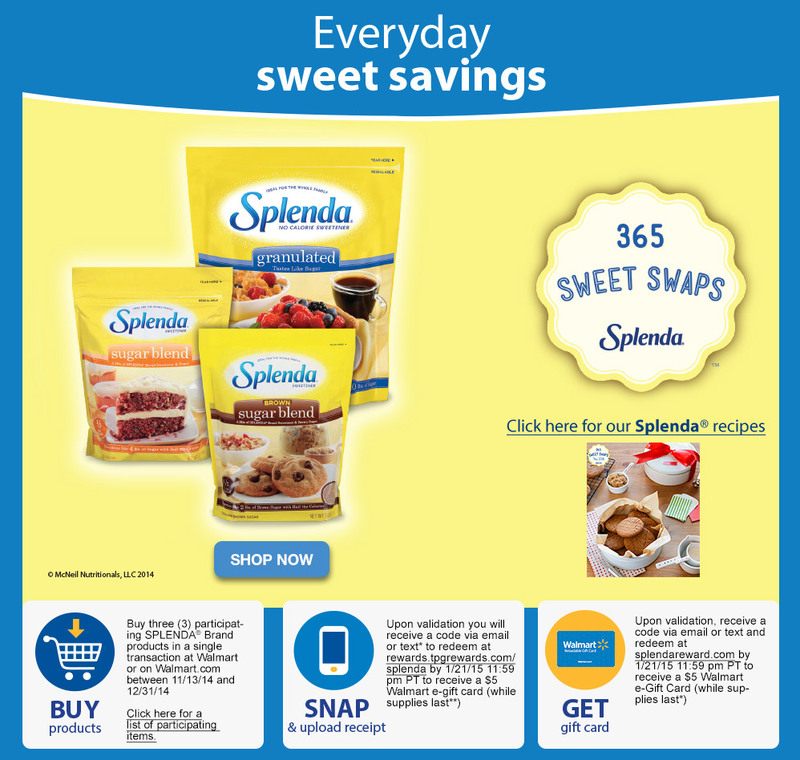 Beginning 11/13/14 through 12/31/14, Walmart shoppers can stock up on SPLENDA® Brand products and receive a little something extra!